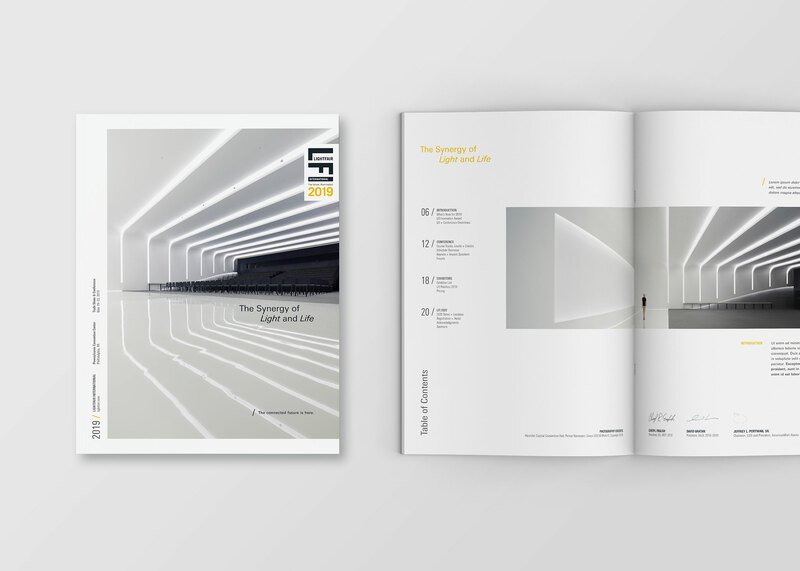 Located in a different host city every year, LightFair International is the world’s largest lighting trade show and conference. 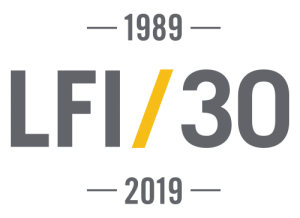 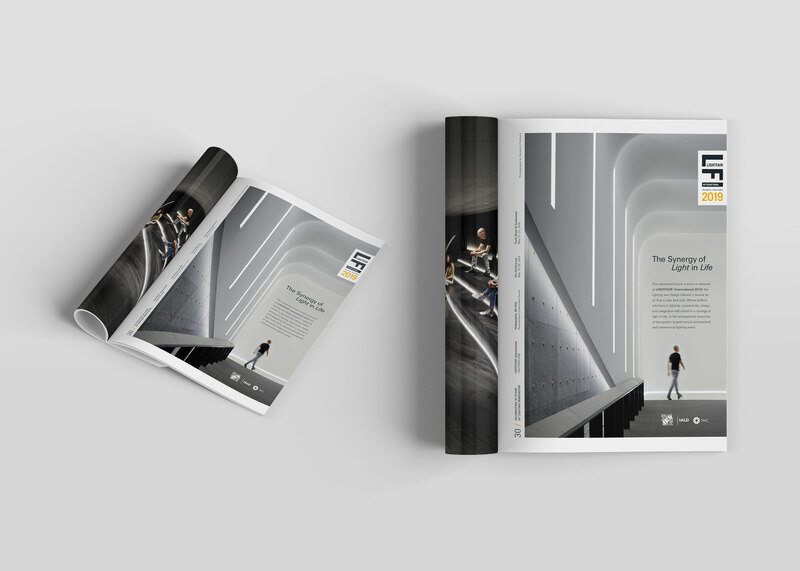 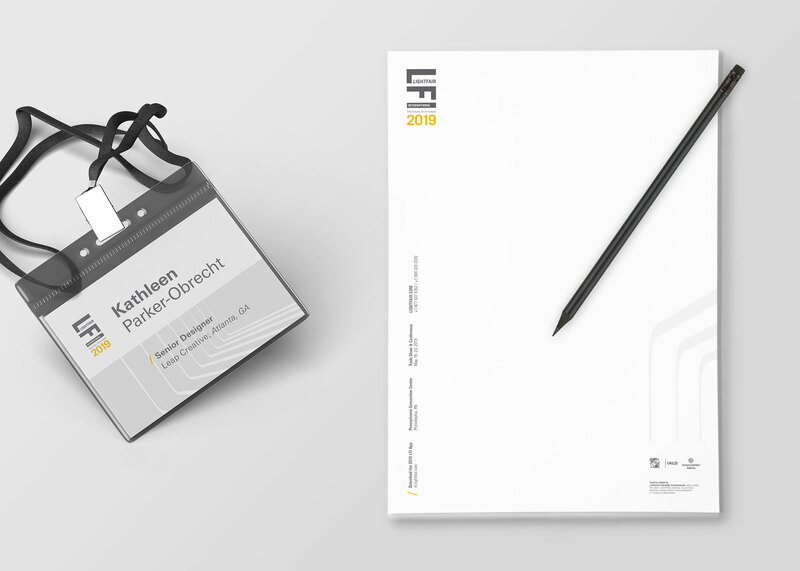 Hosting international retailers, A&D creatives, influencers and more from over 80 countries, LightFair engaged Leap to deliver a full 360º branding and collateral implementation strategy, including environmental graphics and interactive presences, for their 30th anniversary year. 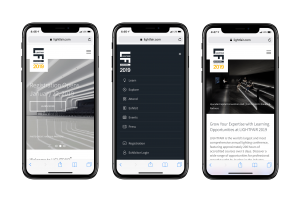 A suite of images of the Hyundai Capital Convention Center provided by Nacasa + Partners were used as the backdrop on which we built our creative. 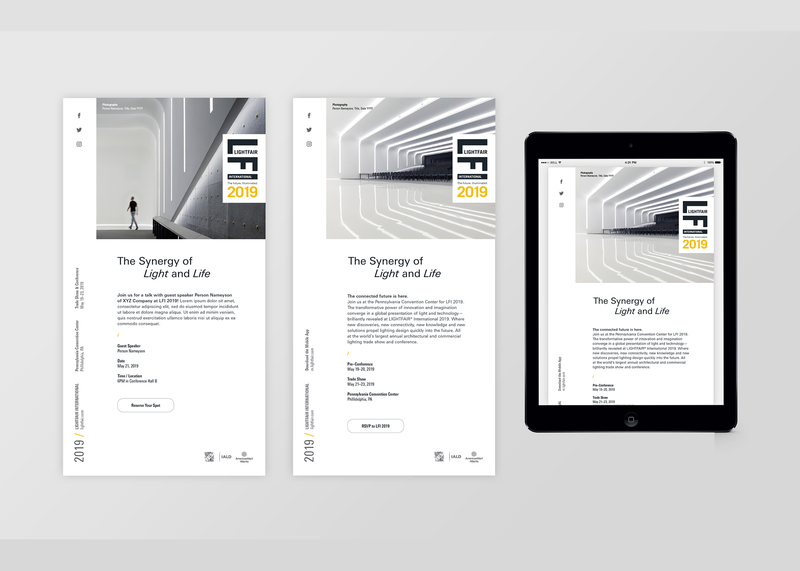 Leveraging the limited color palette, pops of gold were inserted throughout the collateral to reinforce our concepted tagline: The Synergy of Light and Life. 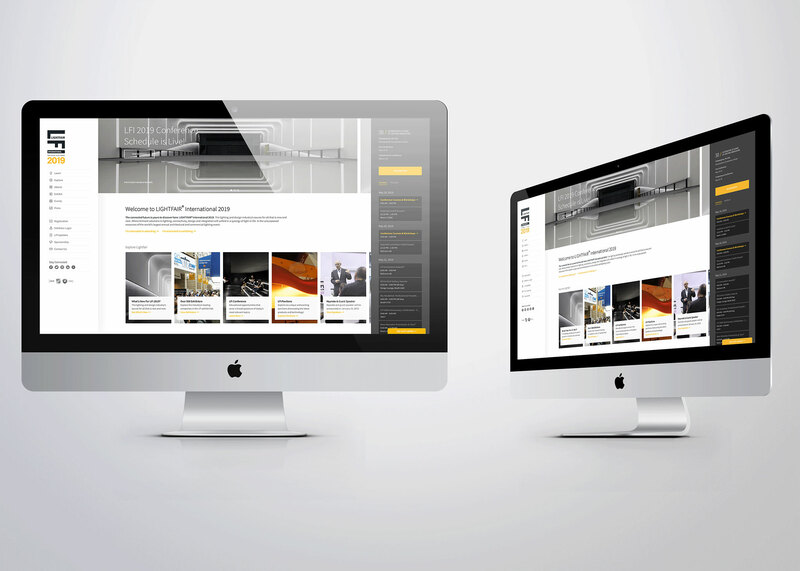 Check out more of our work below. 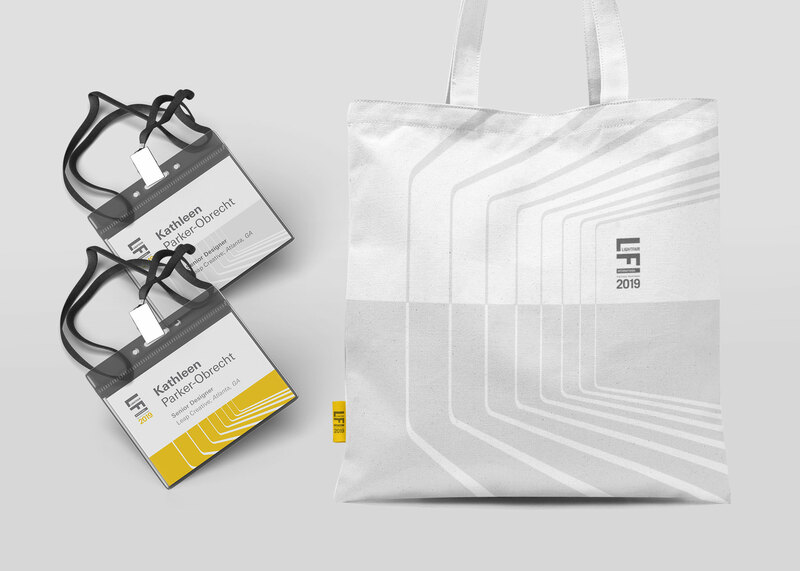 View other Leap projects on Behance.